A dog snuggling by your legs, lush green grass to sit and relax on, a tree to provide shade, cool breeze to sooth and a book in hand. These are what I call ingredients for relaxation and the gentleman in the picture has em all. 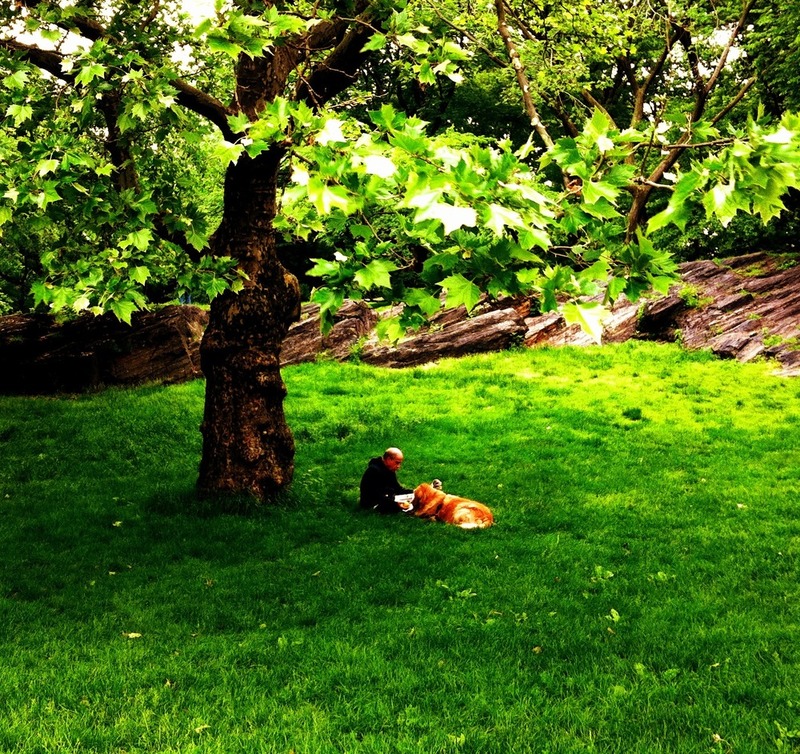 Shot in the central park using my iPhone. Looks like a perfect setting to me! Great image-the color is so lush!